I have very temperamental skin. It can go from dry and flaky, to instant oil slick and break outs in less than 24hours. Keeping it happy is a constant, and ever changing struggle. Unlike Em, I also love makeup, and never leave the house without at least a BB cream and mascara on. This cost of my constant maintenance can get pretty high, so I have a few tried and true drug store items that I always go back to! Between the rose water and the witch hazel this stuff always seems to make my skin happy, no matter what stage grumpiness it is in. It doesn’t burn when its dry, and it soothes my redness and breakouts. Also, because it is so mild, I never have to worry about getting it too close to my eyes. This light coverage BB cream is just enough to even out my skin, and give it a little sun protection without looking and feeling like I have makeup on. It also comes in dry and combo skin formulas, which means I can adjust depending on my skin’s mood that day! Perfection in a bottle. I really only wear foundation about once a week, but this stuff covers well, never makes my skin angry, and stays where you put it. 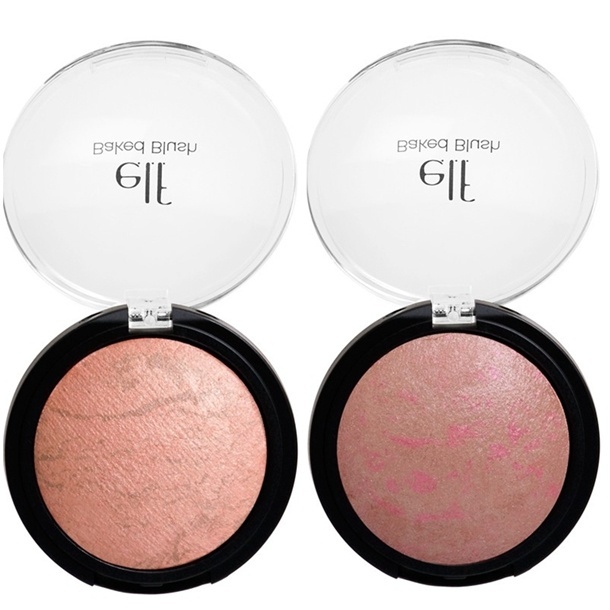 Their peachy colored highlighter is my every day blush. It has just enough shine to make my glow, without looking glittery. It also works great on my fair skin. P.S. the lightest shade is also my every day highlighter! This may not have the staying color of a more expensive matte lipstick, but it has a great color payoff, and does stay in place fairly well! At half the cost of my more pricier lip colors, its a great way to try out that new color trend, without breaking the bank.